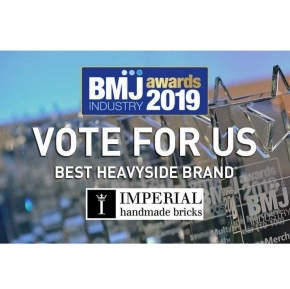 Imperial Bricks, the leading supplier of traditional handmade bricks in the UK, has once again been shortlisted for the BMJ Industry Awards, in the Best Heavyside Brand category. The nomination is testament to Imperial’s commitment to its merchant customers – the industry-led vote, which can be found via www.bmjindustryawards.co.uk, is open until 22nd March. 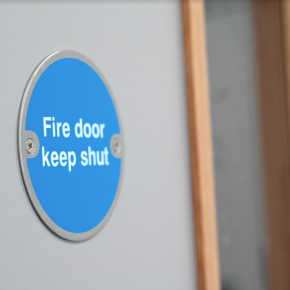 Imperial’s Merchant Support Team has worked closely with customers to develop a range of over 50 handmade, wirecut and pressed bricks in metric and imperial sizes with reliable lead times, to answer demand and open up new opportunities. 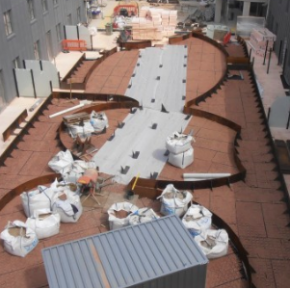 Regional variations, bespoke blends and reclamation finishes are available, supported by an expert brick matching service, which includes free samples and onsite visits for merchants’ customers. 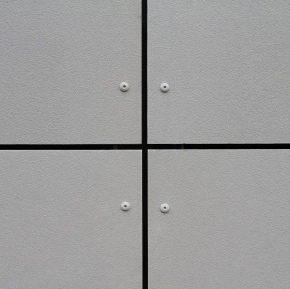 Its free brick matching service has also proved useful for customers and following successful sales of its brick slips, Imperial recently introduced a range of decorative brick tiles for internal feature walls. Imperial is now a member of H&B and IBC buying groups, as well as NBG and Fortis, signalling its commitment to providing an extensive range of quality products, at the best price. Jason Hughes, MD at Imperial Bricks, commented: “Our team has worked exceptionally hard over the last few years to ensure heavyside merchants are given tailored expert advice on the bricks that matter in their region. “It’s not just about the product quality or range though: our support package also includes brick board displays, freestanding product ‘towers’, brochures, leaflets, and a brick matching app to help merchants sell. To vote for Imperial in the BMJ awards, click here.